What kind of guitar is that? It has a very good sound to it. Love the video, super helpful and easy to understand. However, is the second half coming soon??? Can’t wait to flip the switch on this one!!! I need part 2 man. Ur awesome Marty. I’ve learned so much watching ur videos. I understand ur style of explanation so easily. Thank u! 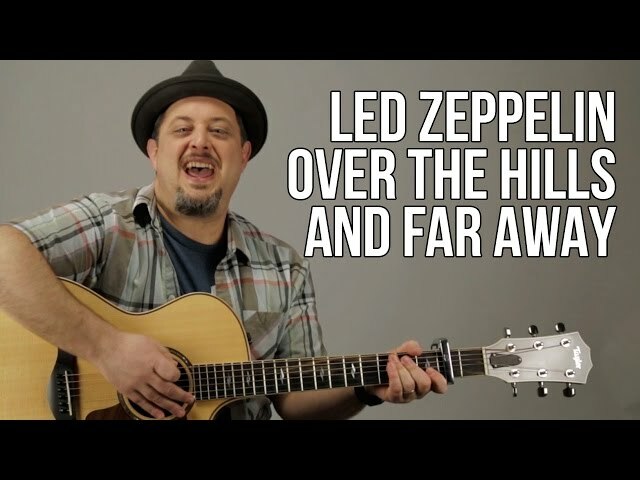 Good lesson but I believe the part near the end of the lesson where it goes into the rock portion goes G D D A not D A A G.
Coming out of the 7th – 9th fret D shape licks, the progression is G – D, D – A. Marty has it wrong. And there comes Marty to save the day… AGAIN! Always wanted to play this tune, thought it was way more difficult than this. TY, man! Wow. I haven’t watched one your videos for a while. Marty, you’re a great teacher. Thanks so much. The Taylor sounds great too! In the second lick, where it goes pull off from 4 to 2 then pull of from 2 to 0 I usually just slide from 4 to 2 and pull of to 0. Makes it a bit easier to play up to speed for me. Marty this song seemed so complicated and so out of my reach but you made it very easy to learn, so thank you! Part two? Thank you sir. New subscriber here the past month. Appreciate it. Im having problems with my accuracy on my index finger. Any suggestions on how to fix it? +Marty Music. Lol, I like how you added “Part 1 is gonna get ya started” & boy oh boy, this video will really keep me busy. I really love the guitar’s on this song. Plus, with Jimmy Page playing both 6 & 12 string acoustics, then adding an electric guitar, I get myself messed up because I’m listening to the song in my head while I try to play it so it drives me crazy. Let lone that I’m more of a rhythm guitarist & not a lead. But no excuses I guess. If I want to play what I like, I need to throw that out the window, or just look for a 4 or 8 track recorder so I can play all three guitars. But back to the song, I am so glad that you have almost 20 minutes of playing the intro & beginning of the song. Some people on YouTube try to cut it down too much which doesn’t help me one bid. At any rate Marty, as always, a big Thank You for putting this video up here on YouTube…..
I’ve always loved your lessons. You’re the best guitar teacher on YouTube. But I love you so much more after seeing the look of absolute joy on your face while playing the intro. You rock Marty!!! Long Live Led Zeppelin!